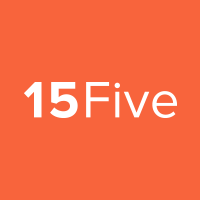 15Five’s 1-on-1 meeting agenda allows you to enhance and streamline your one on one meetings and record the most important learnings all in one place. This vital element of work-week helps you build relationships and re-align with the team and individual goals. 1-on-1 agendas are not updated in real time for both reviewer and reporter, but are updated and changes become visible on an hourly basis. NOTE: 1-on-1 content is only viewable by the Reviewer and Reporter regardless of Group Permission settings or Following permissions. Reviewer Tip: You can add your team's 15Five answers to a 1-on-1 agenda. To get the most out of the 1-on-1 feature we recommend you ask a company-wide question "What do you want to discuss in our next 1:1? Nothing's too big or small." Read Best Practices for 1-on-1s . Both Reviewers & Reporters can collaborate on a 1-on-1. 1. Select the '1-on-1s' tab in your top navigation bar. 2. Locate the employee you want to start the 1-on-1 agenda with and click their name. Your team will be listed under the '1-on-1s with my team' section. 3. Find the team member you want to start a 1-on-1 with, and click on their name. 4. Click the orange 'Create a new 1-on-1' button. 5. If you do not see the 'Create a new 1-on-1' button, there is already a 1-on-1 in draft mode. Click on 'Current 1-on-1 (Draft)' to open the current draft. Go to your 'Team 15Fives' tab. You will see a list of team members you review, and can go through their reports. While you review 15Fives, you can add answers to the team member's 1-on-1 agenda. Rename the answer with a short title that will appear on the 1-on-1 agenda itself. These added answers will appear as talking points on the current 1-on-1 agenda. For a walkthrough on how to add answers to the 1-on-1 agenda, see this article. Talking points, action items, and notes can be added directly to the 1-on-1 agenda at any time before the 1-on-1 has been ended. Action items that are left unchecked, will appear on the next 1-on-1 under the 'Previous action items' section. Action items (previous and current) that are checked off will not appear on the next 1-on-1. Action items can now be assigned to either the reporter or the reviewer. Click the avatar next to the action item you want to assign, and select the owner. These action items will appear in the summary email as being assigned to a specific person. NOTE: Private items will only be visible to you. Click 'End 1-on-1' for a new agenda to show for a team member. After your 1-on-1 meeting is complete, a summary email is sent to your team member with any shared notes and action items. The 1-on-1 summary email will be sent 1 hour after the meeting is ended. You will be able to collaborate and add talking points for your next meeting. 1. Click on the '1-on-1s' tab. 2. Then under '1-on-1s with "Reviewer's Name"', you will see a button labeled 'Current 1-on-1 (Draft)'. 3. If you do not see the this button, you will need to create a new 1-on-1 using the 'Create a new 1-on-1' button. 4. Open your new or draft 1-on-1 and let the collaboration begin. Go to your '15Fives' tab. You can go into any of your reports and add items to the 1-on-1 agenda. Rename the answers with a title that will appear on your 1-on-1 agenda. These answers will appear on your 1-on-1 agenda under the 'Talking points' section. An hour after you or your reviewer end the 1-on-1, you will receive an email stating that the meeting has ended. The email summary of action items looks like this. Private notes will not appear on these emails.